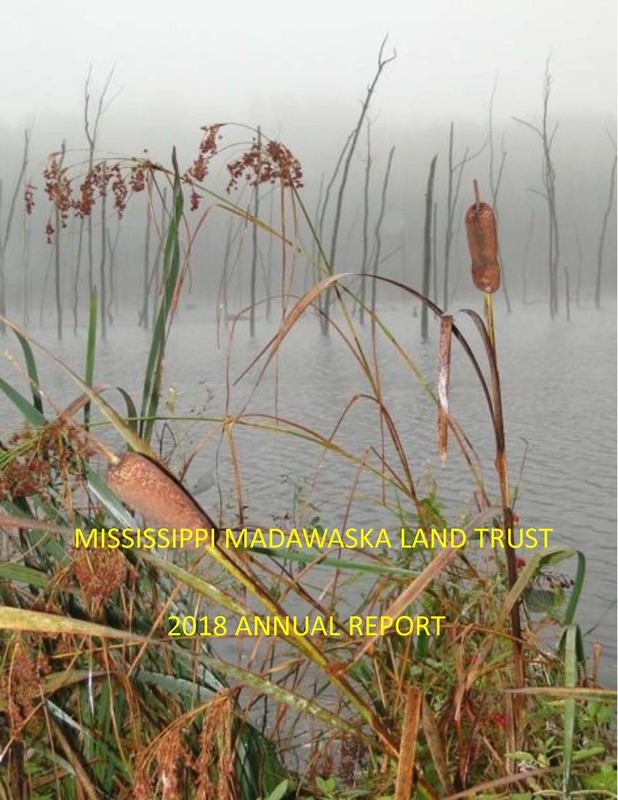 The Mississippi Madawaska Land Trust (MMLT) is a private, non-profit corporation that owns and manages land to provide ecological benefits in the Mississippi River and Lower Madawaska River watersheds. MMLT is recognized as a registered charity by the Canada Revenue Agency, and as such it is required to provide benefits to the public. While preserving and restoring natural areas does provide both direct and indirect benefits to the public, MMLT also has a goal to foster connections between people and the natural world. Recognizing that ecological management and public use of natural areas can sometimes be in conflict, MMLT hereby adopts this public use policy to govern the use of its nature reserves. Restricted Access: access to site is by permission or guided tour only. Visitors are permitted to access Open and Undeveloped reserves. At some reserves, small, off-road parking areas are available. Where off-road parking areas are provided, visitors are responsible for parking vehicles in a safe manner. If parking areas are full, visitors should be sure to park where traffic will not be obstructed and in accordance with local road use bylaws. Some nature reserves may be temporarily closed to facilitate management and ensure public safety. When this occurs, signs will be posted at access points to inform potential visitors that the property is closed to the public. Entering into a wilderness area involves numerous and sometimes unforeseen assumed and inherent risks including, but not limited to, standing dead trees or trees in various stages of decay than can fall without warning and broken unattached limbs hanging precariously in the canopy. Debris and uneven terrain presents its own risks. Some may suffer mild to severe reactions from biting or stinging insects or from exposure to plants such as stinging nettle or poison ivy. It is possible to become lost and there is always the possibility of confrontation with wildlife such as bears. Due to the potential risks involved in walking in the wilderness during hunting season, the MMLT strongly advises that any access be undertaken with caution at this time. Because hunting seasons for specific game vary across the MMLT catchment area, please consult your local Ontario Ministry of Natural Resources (OMNR) district office or the OMNR website for specific local information. In consideration for being granted permission to enter MMLT wilderness properties, visitors must sign a Waiver of Liability form. A parent or guardian must sign for a minor and accompany the minor while on the property, accepting full parent/guardian responsibility of the minor. A supply of Waiver of Liability forms are provided at each site for visitors to sign and deposit in the vessel provided. Where a property is classified as “open access”, and in order to protect sensitive habitat, walking is permitted on designated trails only. All MMLT properties are preserved for the protection and enjoyment of nature. Since many visitors come to observe and listen to the sounds of nature, please avoid making loud noises. Any water bodies on MMLT nature reserves are accessible for the public use, although MMLT does not actively maintain boat access. Motorized boats are not permitted. Cross-county skiing and snowshoeing are permitted on designated trails. Wilderness trails generally do not accommodate bicycles which can cause degradation to the trail or to wildlife. Bicycles may be permitted on a site by site basis. Motorized vehicles are prohibited except those approved for management purposes, where legal right-of-way permits access, or by previous written agreement between the operator or owner of the vehicle and MMLT. In general, camping is not allowed on any MMLT nature reserves except by previous written agreement with the MMLT. In general, collecting of biotic and abiotic materials of any kind is prohibited, except for educational purposes and by previous written agreement with the MMLT. This includes but is not limited to animals, insects, leaves, flowers, fruit, mushrooms, feathers, rocks, wood, and so forth. Visitors should “take only photographs, leave only footprints”. Dogs are permitted, but must be under the control of the owner at all times. Except in nature reserves classified as “undeveloped”, visitors must pick up after their dogs and remove all droppings from the property. All other domestic animals are prohibited. Horseback riding is prohibited. MMLT encourages the use of its nature reserves for scientific research and field study, provided such research does not negatively impact the ecological health of the resource. Interested parties must contact MMLT staff to propose research and secure documented permission to proceed. Copies of publications, posters and other products of the research project must be provided to MMLT in a timely manner upon completion of the project. Under no circumstances should the locations of provincially-listed rare, threatened or endangered species be published or disclosed in posters, lectures or other presentations. Organized groups may use MMLT nature reserves for tours. Interested parties larger than ten people should contact MMLT (see form) for prior written permission, to ensure compliance with management guidelines, signature of waivers and to avoid conflict with any other events or management activities. Use of our reserves by a commercial entity that charges a fee is not permitted. Visitors should report violations or other management problems to MMLT staff. These properties differ from those owned by the MMLT in that customized agreements exist between a landowner and the land trust. Activities on these properties are restricted by covenants registered on the property title. Most will have restricted access or no access by the public and potential visitors will need to consult with MMLT staff or our website for specific information.